This is one of the most powerful machines you can buy and it’s a great value. The 400 model (image above) filters spaces as large as 1,560 square feet. That’s impressive by itself, but to get that much power from another purifier you’d be looking at two times the price. It also has a great True HEPA filter and odor absorbing filter as well. A powerful fan and those awesome filters give the 400 (and 400S) a CADR smoke rating of 350 (one of the highest you’ll see). And if you have allergies the Air Mega 400 provides a near perfect CADR pollen rating of 400 and a dust rating of 340. A higher CADR means a purifier removes more contaminants in a shorter time. A CADR above 200 is pretty good – close to 400 is amazing. There’s also two smaller versions (300 and 300S), that offer a more appealing price. They can filter a 1,200 square foot room… which is still pretty impressive. There’s also a “smart” version of the 400 called the 400S. It’s the most expensive of the product line, but has some really awesome features if you have the cash available. Bottom line; this is an amazing air purifier. And, we think it is the best value if you’re shopping for an air purifier for smokers. It offers a ton of power and looks great doing it. Plus they’re made by Coway, one of the best names in the purifier business. While this purifier is a great option there are other options that work better for different types of smokers and budgets. Scroll down for the runners up for the best air purifier for smokers. Why does the best air purifier for smoke need Activated Carbon? The majority of airborne compounds found in tobacco smoke range in size from 0.01 microns up to one micron. There are gasses produced, but we’ll get to that shortly. Back to the particulate matter that can be measured… a lot of smoke particles are smaller than .3 microns in size. Which renders pretty much every filtration media useless. Even medical grade HEPA filters. The reason activated carbon is a great smoke purifier is that it’s extremely porous. And, that captures the gasses, odor, and particles from cigar, cigarette, and weed smoke. Basically, anything smaller than .3 microns can be trapped through the process of adsorption. Related: How activated carbon works in an air purifier. Do you need a HEPA filter in an Air Purifier for Cigarette Smoke? Technically, you don’t need a HEPA filter for the smoke itself. However, since some of the particles are larger than .3 microns a HEPA filter will help. But, the biggest reason to combine activated carbon with a HEPA filter is that the two effectively remove a vast range of common pollutants. Does it make sense to get a purifier for smoke… if you don’t even smoke? First, a lot of people don’t realize how easily smoke creeps into your home or apartment. Granted, the most obvious is cigarette smoke from smoking inside the house. However… smoking neighbors, fires, factories, and smoke from chimneys can invade your home. Thus creating a health risk, and stinking things up a bit. Even burning candles in your home can introduce unwanted smoke into the air you breathe. Second, the best all-around purifiers combine HEPA filtration with activated carbon. So, even if you do not smoke you’ll be able to see improvements in indoor air quality through the use of a good purifier. There are several types of air purifiers available for purchase. A simple Google search for “best air purifiers” or any one of several similar terms, will produce more information than you can handle. Fortunately, we’re here to help you find out what works, so you don’t have to weed through all of that data yourself! Plus we’re actually into evaluating these machines. You’ve seen the commercials. Cigarette smoke is full of a bunch gases and particles. Some sources place the number as high as 4,000 unique compounds. Other sources put that number at more than 7,000 compounds. But, for smokers looking to purify the air there are only a few things we’re looking to capture. If you look at it from those three criteria… you’re filtering large particles, odor, and ultra-fine particles and gas. And, while no purifier is 100% effective… many will work wonders on those three things. First, as we said earlier, activated carbon is the key to success when it comes to tackling odor and smoke. Second, a HEPA filter is a scientifically proven, federally regulated way to improve indoor air quality. For everyday air cleaning in your house, a simple HEPA/activated carbon filtration system is almost always the best option. It has the highest efficiency and doesn’t emit any ozone. The one drawback of a filtration system is that it has the highest cost of operation, due to the amount of electricity it uses, and the fact that it requires replacement filters periodically. “Air-purifying” sprays, candles, and deodorizers do not work for removing cigar and cigarette smoke. It should be noted here that, despite the claims that some manufacturers make, there is not any spray that will actually remove smoke from the air. There are many sprays that are marketed as eliminating smoke smells and even cleaning the air. There is no science to back up these claims, so avoid them! They’re basically just perfume, to “cover up” the smoke smell and separate you from your hard-earned money. Plus, many of them are just introducing a bunch of chemicals and gasses into the air you’re breathing. Ozone generators work well but are not safe if people or pets are in the room. They’re mostly useful for removing odors after a flood or house fire. And, should be used by professionals. Or at least well-informed consumers. Ozone generators are also not proven to have more than a negligible effect on overall air quality. In fact, according to the Environmental Protection Agency, they can actually increase the health risk. Too much ozone in a combined space is almost as hazardous as the presence of smoke! Reviewed below are some of the best air purifier for smokers options. There are many other great options, but these represent a solid range for smoke removing power and price points. 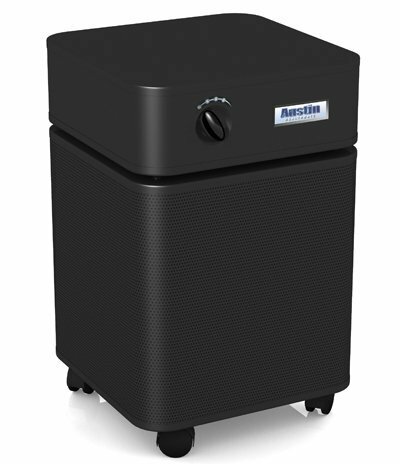 Austin Air’s Healthmate Standard is one of the best purifiers for smoke you’ll encounter. This product also handles a wide range of airborne pollutants, from odor and bacteria to VOCs and gases. Best of all these units have up to 15 pounds of smoke eating activated carbon. The Healthmate pulls dirty air through four highly effective filtration stages. First, a large particle filter protects subsequent stages from getting clogged with pet hair and dust bunnies. Next, a medium particle filter takes removes things the first filter misses. Third, an activated carbon provides a ton of smoke handling and odor killing surface area. Finally, a HEPA filter takes care of things like pollen and fine dust. The machine measures 23” tall x 14.5” wide… and the machine is mounted on easy roll casters. 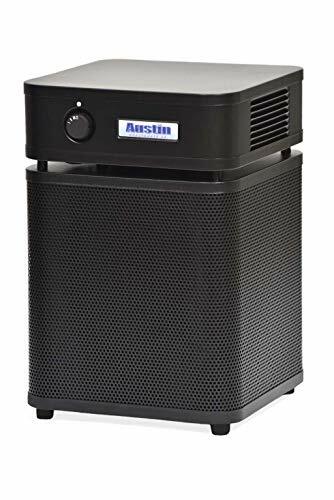 Austin Air purifiers are not the sleekest looking purifiers, but they are one of the best values in high-performance air purification systems. Rabbit Air’s MinusA2 line offers a wider range of filter and design options while providing a surprising level of performance. In fact, it’s among the most popular among cigar aficionados. The MinusA2 looks great too. It features a flat, sleek design that uses stand on the floor or you can mount it on a wall. It features a light sensor/auto mode. And, even has a mood light. The light sensor/auto mode recognizes a dark room and automatically enters sleep mode. The mood light displays a wide array of colors to soothe and relax. One of our favorite features is that the MinusA2 is also available with customized panels that can match, contrast, or blend into any decor. The best thing about this purifier is that it’s designed for large spaces. Its round shape gives it a larger surface area, which means that it is adequate for larger spaces, or even an entire apartment or small house if there is enough airflow between rooms. Replacement filters are expensive, but only need replacement every two years. This one is also a bit loud! 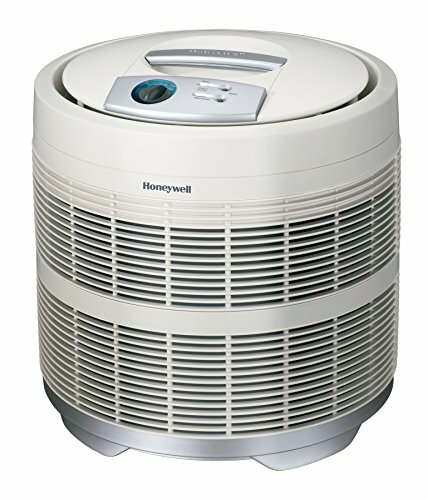 For more information, read the detailed review of the Honeywell 50250-S air purifier. We think of it as a slightly cheaper alternative to Austin Air’s healthmate line. It filters odor and small particles very well… just not as well as premium models. Bottom line; activated carbon is the key to fighting cigarette smoke. And, in the world of purifiers, not many beat the 6.5 pounds of activated carbon Austin Air packs into this filter. 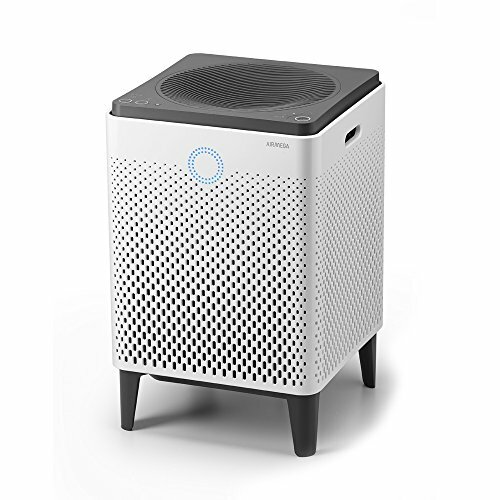 The boxy unit also gives you 60 square feet of medical-grade HEPA filtration. 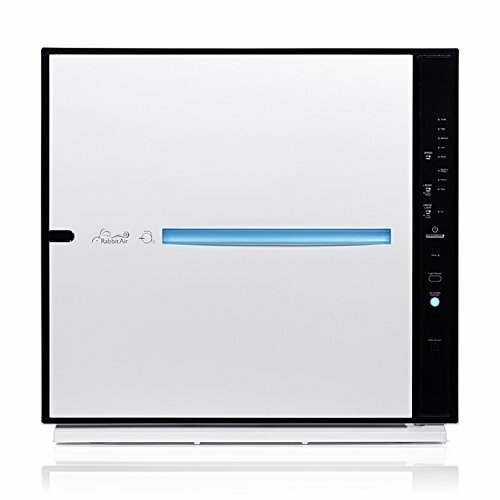 This purifier is also the best value in what we would classify as “premium” air purifiers. No matter what you smoke; we think you’ll love Austin Air’s Healthmate JR.
It’s cheaper and more compact than the Austin Air we mentioned above. To see the full product line and differences in their purifiers check out our Austin Air comparison page. Germguardian is one of the most popular and affordable options. It does everything very well! Not only does it filter the air through a high-efficiency HEPA system, but it also tackles smoke and odors through an activated carbon layer. And, as if that’s not enough, it even has the UV light to kill off bacteria and viruses. This is a medium-sized model, best for individual rooms, such as a bedroom. Two minor drawbacks to this model; it produces a plastic smell for the first few hours running, and it is a little bit loud. Read the detailed GermGuardian AC4825 air purifier review here. Vaping receives very polarizing responses when you ask people about its impact on health. For the most part, the ingredients used in vape pens and mods are commonly found elsewhere in common products. The vaporized vegetable glycerine (most common type) is what creates the “vaping smoke” which is not smoke at all. Propylene glycol (an ingredient used in asthma inhalers) carries the vaporized flavor and nicotine. Back to the “is it a safe alternative to smoking cigarettes” question. Is it safe? We aren’t completely sold on it being 100 percent safe, but we do tend to agree that it’s safer than traditional cigarette smoke. There’s a great article on Gizmodo that explains the contents and safety surrounding the vaping trend. Now, the important question… Should you still get an air purifier if you’re vaping? We think you should. First, because purifiers benefits go far beyond removing tobacco odor and smoke particles. There are a ton of things floating around in the air that you don’t want to breathe on a regular basis. Second, there could be some nasty stuff in e-cigs (electronic cigarettes) and vape juice. It appears to be much less than cigarettes, but better safe than sorry. Finally, air purifiers (like those mentioned above) are great at battling pollen and minimizing dust. There are a few things that change based on things like how much you smoke and where you smoke. For example if you’re smoking in a huge room the GermGuardian we mentioned above won’t work very well. Or, if you’re smoking weed there are many other things to consider. Not all smokers are the same and filter requirements change based on a number of factors. Here are some of the biggest. A larger room will need a more powerful purifier to move smoke around the room, and then capture it. If your purifier is too small, the smoke will rise to the ceiling and you’ll be filtering only the cleaner air near the floor. You may also want to run a ceiling fan or something like that to get air moving even better. More smokers also means that you’ll need a more powerful purifier. If you’re producing a lot of smoke a little machine is going to struggle. This is especially true when you think about a few people smoking cigars over 40 minutes vs. just one person slowly smoking a cigarette for ten minutes. The cigars are going to produce way more smoke for a long time. But, the cigarette will make much less smoke and it will stop much sooner. That principal works the same if you’re enjoying a cigarette with a friend… or a few friends. Those three or four smokers are not going to produce a lot more smoke, but it does change things. First, it will probably be a longer session. Most people aren’t going to light up at the exact same time and smoke at the same speed. Bottom line if you’re smoking alone; you need a less powerful machine. If you’re a social smoker buy a more powerful unit. If you sit in a comfy chair while you smoke, you can sit right next to the purifier. That means you can get by with a more affordable smoke eliminator machine. But, if you wander from room to room… or move around in a larger room you’ll need more. You should either consider multiple purifiers or a much more powerful air purifier. This also goes back to the “how many smokers” point we made above. If people are milling around at a party or smoke in different rooms, you will want to take that in to consideration too. If you smoke in a carpeted room or on a fabric couch, smoke and odor need to be captured faster. Fabric soaks up cigarette odor pretty fast. So you will need to move as much air through the filter as you can in a short amount of time. That means the purifier will need a powerful fan and a huge filter. Take a look at the CADR rating; it’s one of the easier ways to figure out if the purifier you want is up to the task. Most AHAM-rated purifiers will have three different CADR ratings… one for smoke, one for pollen, and one for dust. If you’re smoking near carpet or fabric look for a CADR above 250. Exposure to smoke increases the risk factors for many diseases. According to the Environmental Protection Agency, exposure to secondhand cigarette smoke can cause lung cancer or heart disease in adults who don’t smoke. This kills approximately 3,000 otherwise healthy adults every year! Also remember that if you have pets, it is harmful to them as well. Wouldn’t you say that it’s worth getting the best air purifier for smoke removal to help your family’s continued good health? Second-hand smoke is terrible. It smells, it’s dangerous, and it isn’t going to win you any friends. You know to never smoke around kids indoors (or out). But, in a house or apartment full of adults we know you don’t want to step out into the cold every time you light up a cigarette. Sure you can open a window but the best way to get rid of second-hand smoke fast is with an air purifier. A powerful purifier with activated carbon will help your non-smoking friends to breathe a little easier. Plus you just might avoid that awkward conversation about the smell, or how bad your habit is for your health. You know it’s bad, we know it’s bad… but people smoke. And, after you check out these recommendations you’ll be able to smoke inside without driving friends and neighbors crazy with that harmful second-hand smoke. Feel free to head to another page to see our top picks, but we really should make it clear… second-hand smoke is bad. Really bad. And, exposing those around you to myriad cancer-causing agents is in fact irresponsible. We know, we sound like that nagging friend, right? Well, we’d feel pretty terrible if we lead someone to believe that a purifier will make it safe to smoke around children. It doesn’t. Even the best purifier isn’t going to remove 100 percent of the smoke in the air before it reaches the lungs of those around you. So bear with us for a minute while we do our civic duty. Secondhand smoke affects different people in different ways, depending on their age and state of health. Like we said above, it’s important to note that there is no risk-free level of exposure when it comes to secondhand smoke. There are however different degrees of risk and exposure. But, children and babies are especially vulnerable since their lungs are not fully developed. Babies exposed to secondhand smoke have greater risks of dying from SIDS or sudden infant death syndrome. Babies and young children who breathe in secondhand smoke also more likely to develop bronchitis, pneumonia, and other respiratory diseases. Plus, children frequently exposed to secondhand smoke are more likely to suffer from asthma compared to naturally asthmatic children who are not exposed to secondhand smoke. Several studies also have shown that secondhand smoke may also cause ear infections. Second-hand smoke also impacts unborn children. A pregnant woman who smokes or is frequently exposed to secondhand smoke will negatively affect the placenta production and reduce the blood flow to her unborn baby. Secondhand smoke also damages the unborn baby’s heart, lungs, and central nervous system. If you happen to live with or near a smoker, there are some precautionary measures that you can take such as making sure that the area is well-ventilated as it helps dilute the smoker, and/or making use of electronic air purifiers which can help eliminate smoke particles from the air. While these are all considered to be viable options, there are other ways that you can do yourself. One of the obvious steps that you can take is to avoid secondhand smoke as much as possible. If you are a smoker, you might need to consider quitting the unhealthy habit. If you find it hard to quit your smoking habits, you can at least refrain from lighting up a cigarette in your house and around your family. If you happen to next to a smoker and are worried about the health risks involved in secondhand smoking, you need to talk to that person and work out a peaceful solution as much as possible. Most apartment buildings have strict non-smoking regulations. You can ask your landlord to enforce the rules in the building. Check out air purifiers for apartments. Most business establishments and offices have strict policies against smokers. This is to ensure that their employees and clients are protected from secondhand smoke. In the event that your company does not have any smoking policies, you may need to get in touch with the management and labor organization so that it can rightfully be addressed. Smoking is strictly prohibited on all commercial airplanes not only in the US, but also in all parts of the globe. Smoking is also not allowed on all interstate bus travel. For those who are traveling by train, smoking is only limited to a car. On the other hand, it is essential to secure a non-smoking room when staying in a hotel since harmful cigarette chemicals cling on furniture. You need to be aware that antismoking laws differ from one country to the other. It is not only non-smokers who need to be aware of the problems brought about by secondhand smoking. The best thing that smokers need to do is to quit smoking altogether. Quitting the unhealthy habit will not just benefit the smoker, but also everyone around them. If you find it too hard to quit, consult a physician or enroll in a smoking-cessation program. There are probably some nearby offered by an organized by anti-smoking institution. It’s widely known that secondhand smoke has an adverse effect to people, animals, and the environment. But, it’s also widely known that a lot of people smoke. And, as marijuana becomes legal in more states… second hand weed smoke is also going to become a bigger issue. If you do smoke, or live with (or near someone who does), look for purifiers with a lot of activated carbon. Also, make sure that the purifier moves a lot of air. And, one last time… try to quit. Regardless of which model you choose, the best air purifier for smoke removal is something any smoker should consider. While there is no way purifying filters can instantly remove all of the smoke in a room, they do help. Just imagine… how much air would you need to circulate if you have an air purifier filtering the air in a room while you enjoy a cigarette. To remove everything you would essentially need to construct a wind tunnel. Remember, though, that it is part of an overall strategy; it is also important to have adequate ventilation and to avoid having a source of smoke present in your house, to begin with, if possible. And, while we aren’t here to judge we do think it’s important to briefly discuss the health impact of smoking indoors.